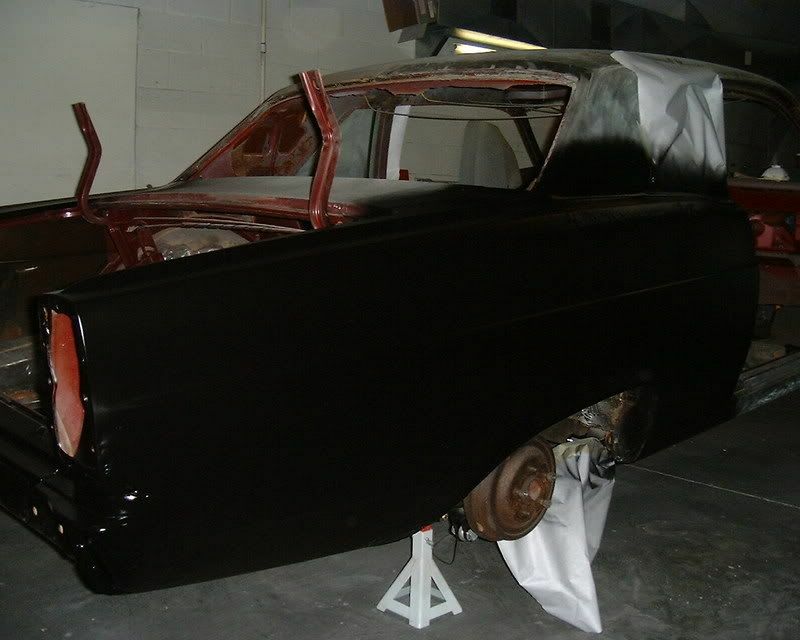 I took this Fairlane in trade toward some of the labor on a 68 Shelby I has painting about 4 years ago. 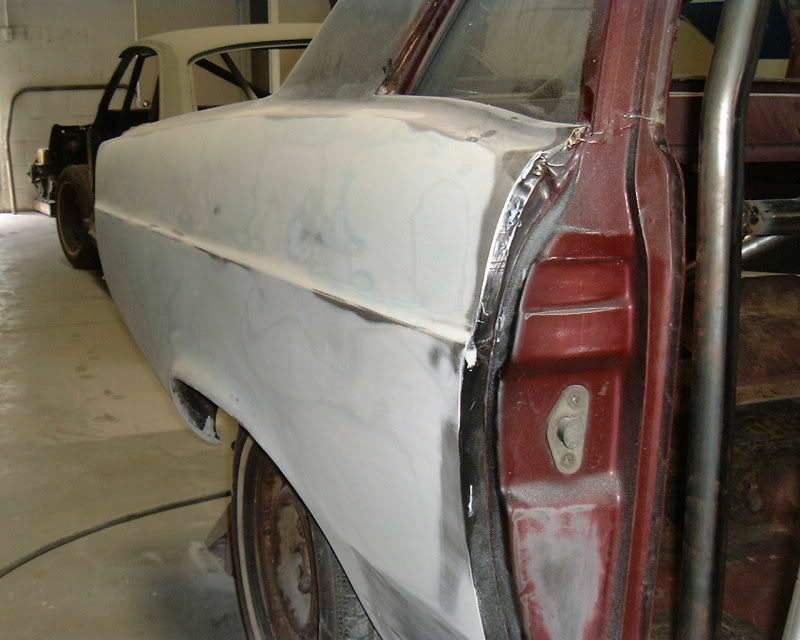 I don't get a lot of time to work on it but we are trying to get the bodywork finished in time for our local Mustang and Ford show in late Oct. Here is what we started with. I did not think I could save the right quarter but I figured it was worth a try instead of spending $750 for a new quarter. 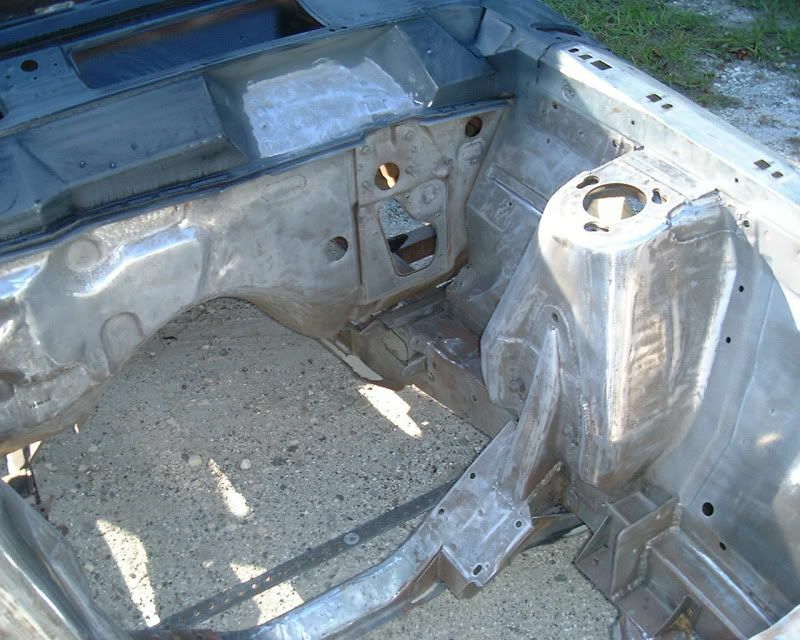 There wasn't a lot of rust but the front floor pans were gone. I needed a little eye candy so I epoxy primed the back side of the deck lid and painted it SPI Red single stage. A Fairlane or a Comet might make a Ford man out of me yet. Really like those cars! is there much of a market for the 66-67 fairlanes? 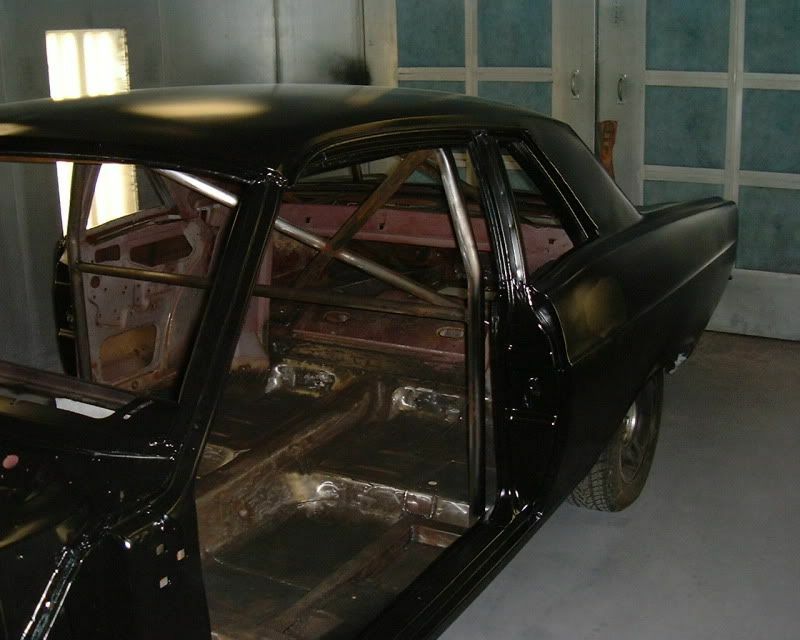 i've found a 67 2dr hardtop 289/c-4 car thats in pretty decent shape that can be had for $1500. didn't know if there was enough interest in them to make a little profit in the long run. nice job (as always)!! there's a real strong market for them. one of the nicer years they were made. 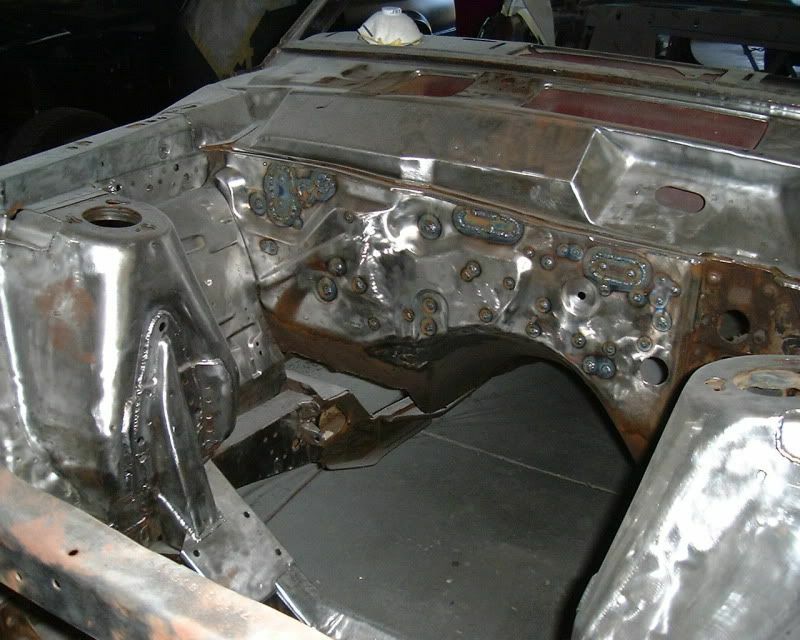 It is my car so it has taken a long time to get to this point working on it in our spare time. I plan on running a 390 with an automatic unless when the time comes I put a 428 in it. The Mustang Club of Tampa is having their 29th annual car show Oct 23 and I plan on going as a vendor this year and taking it under construction. We still need to mini tub it and narrow the rear. 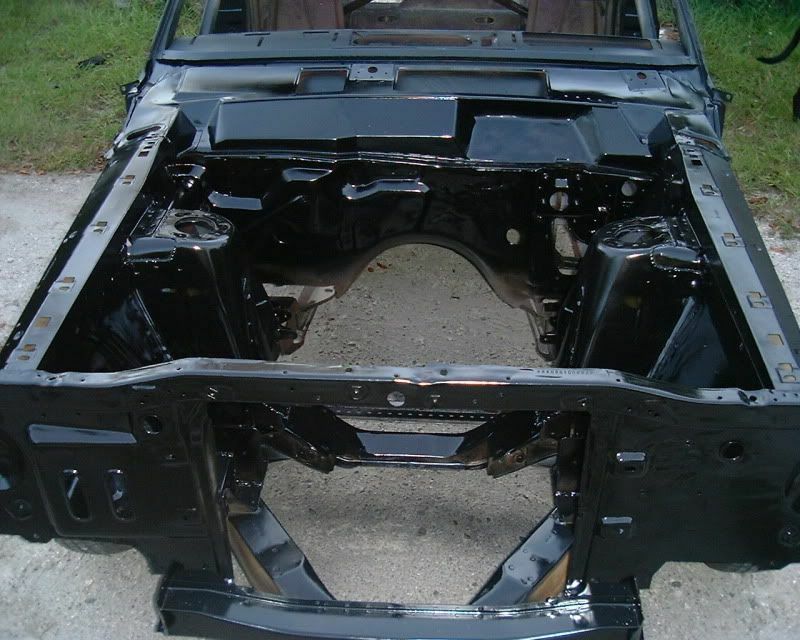 I want to have the bottom finished in SPI bedliner and the body work finished and epoxy primed. 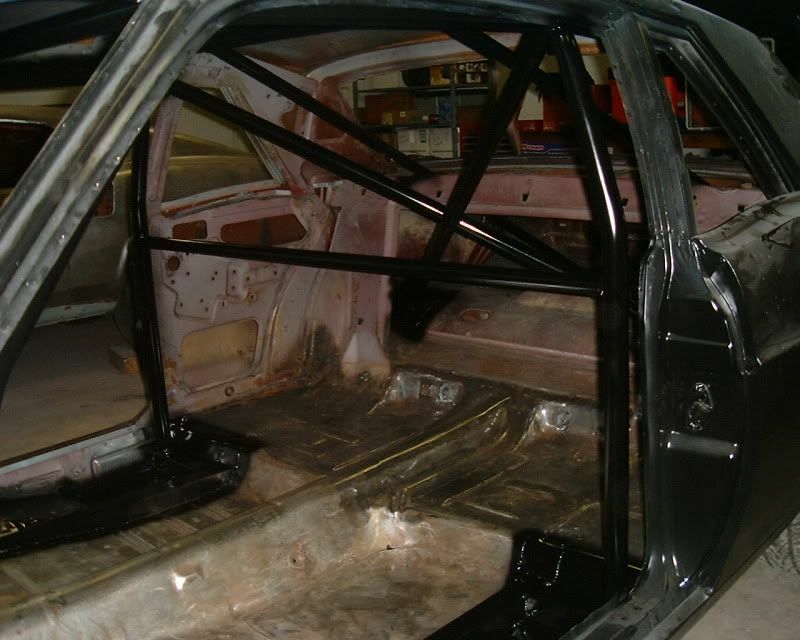 We worked on the bottom welding and adding a Crites rear leaf spring relocation kit. 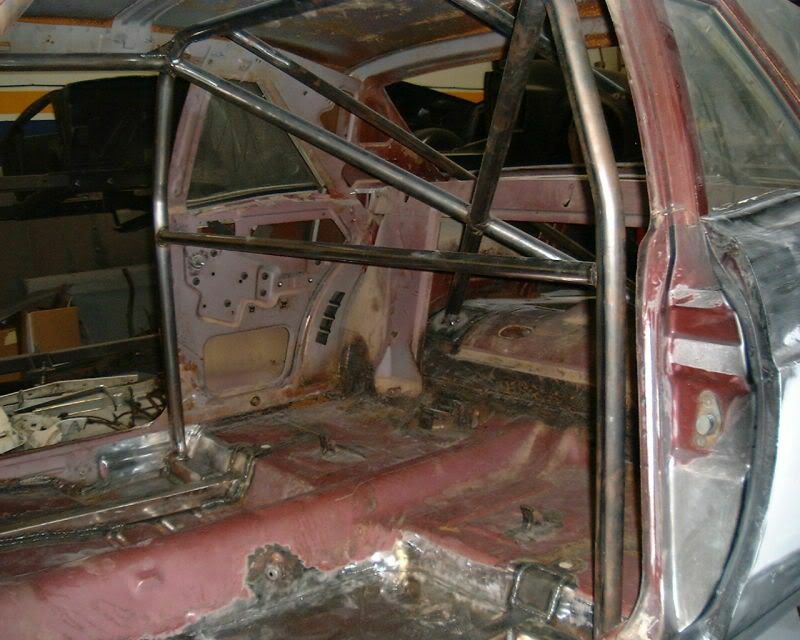 The leaf springs are moved to the inside of the frame rails and the rear has offset shackles. This is what was done to the Super Stockers back in the mid 70's to fit the larger slicks. That red is great I haven't had it outside yet to look at it in the sun. I took it out of the booth yesterday and it was under a skylight in the shop and I hard a hard time not looking at it while I was trying to sand the back side of the Fairlane hood and a Mustang hood.